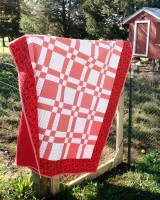 Ever hear of a Potato Chip quilt? Pretty sure the name is because you can't make just one! 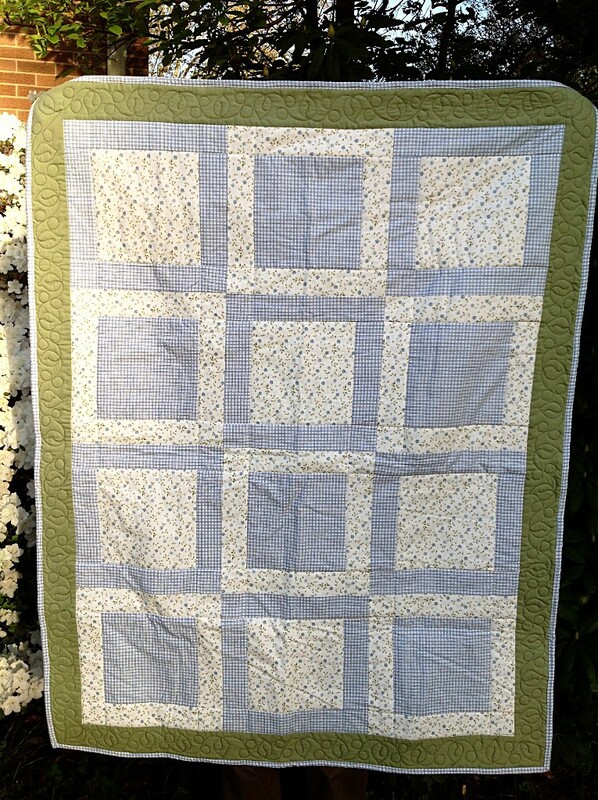 This is a simple but sweet baby/crib quilt. 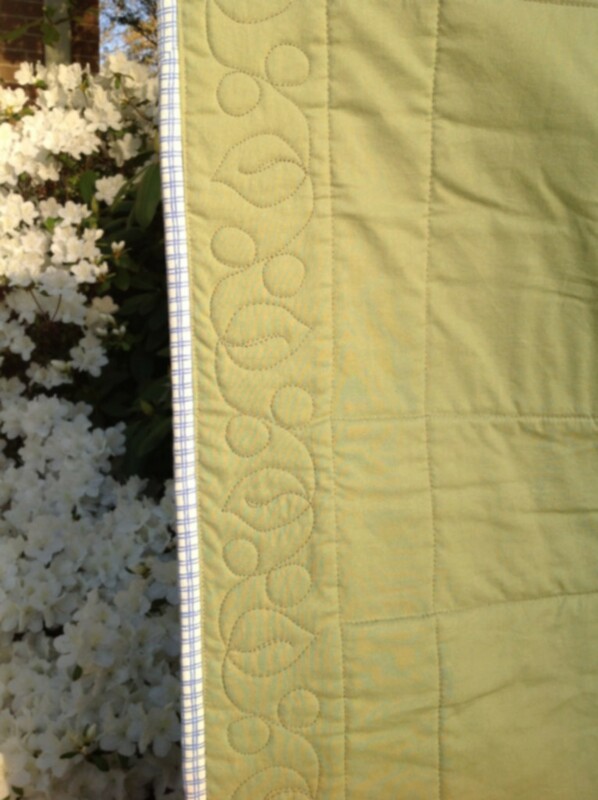 It has limited machine quilting so it is nice and soft, but the vine on the border adds nice trim. 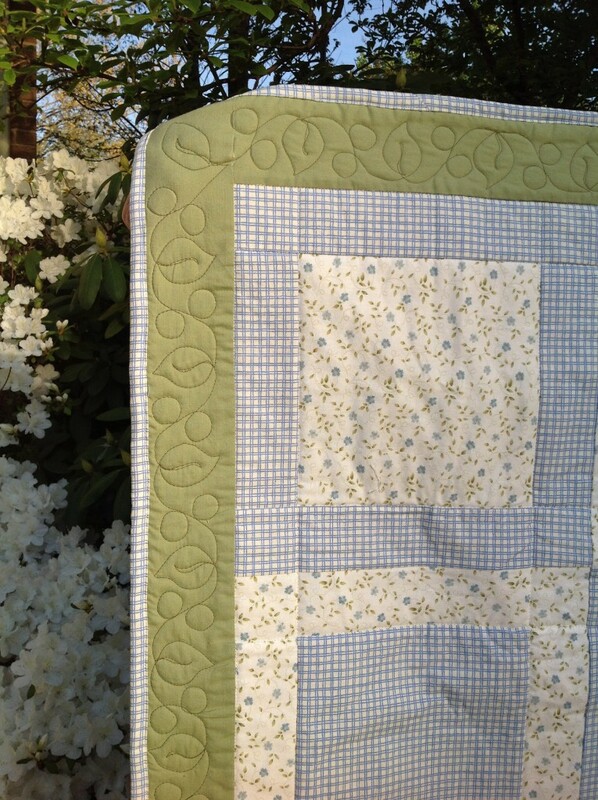 The solid green back and little floral print make this one versatile enough for an adult's bed or throw as well.